What is sponsored content? What sets it apart from other marketing/web content? Sponsored content is an article or story written by the publisher in their voice, while integrating your product or brand into it. The publisher guarantees a certain amount of traffic to the story at a higher rate than banner advertisements, which covers not only their content production but also their distribution costs. Sponsored content is different from traditional content in a variety of ways. First, the publisher guarantees a minimum number of impressions, whereby the story acts like an advertisement. If the story exceeds this minimum, it acts as "PR" or earned media. Secondly, it should not impact your search engine optimization since the anchor tags are flagged as "no follow." Third, it is clearly marked as sponsored or advertisement per the rules of the FTC. Why are brands turning to sponsored content to build an audience? Influencer and social media marketing are hot; people trust local celebrities or "influencers." Brands see influencer marketing as a more cost effective way to reach their target audiences since influencers are not as expensive as celebrities and have a more targeted audience set. Sponsored content gives influencers the ability to create longer form content to showcase their thoughts. We now live in the world of infinite content. Everyone is a publisher. Everyone is creating content. If something is not promoted, most likely it will not be seen. The ROI on an organic mention is more likely to be worse off than ever. Sponsored content, with its guaranteed distribution, helps brands to cut through the noise and ensure that prospects now know their story. Ad block has rendered display advertising as futile. With the rise of social networks and content marketing, sponsored content plays into these new trends. What brands do you think are using sponsored content most effectively? What can we learn from them? The obvious simple answer is Netflix. They've run sponsored content effectively with The Atlantic about strong first ladies in conjunction with "House of Cards" to reach their politically savvy audience. Sponsored content for "Orange is the New Black" ran in the more liberal minded New York Times about how the experience of women incarcerated differs from that of men. Finally, an article about the economics of Pablo Escobar and the drug trade ran in the Wall Street Journal in conjunction with "Narcos." Each of these articles tell a story and while Netflix is in the business of brokering stories to your home, they created a story that was relevant to the given audience. Furthermore, none of these stories asked for the business. There was never a "Subscribe to Netflix" button or some other call to action about a subscription. If there were, the campaigns most likely would have failed. We now know that these great shows are only available on Netflix and even if we didn't, a quick Google search would yield that information. Brands need to understand that the value of a good story is not a click thru, but rather mindshare; in our new on demand economy we can get anything we want, the key is to have enough mindshare when the time is right to buy that product. Click-thrus are a false short-term metric that is being measured at the expense of the more valuable long-term metric of story recall and brand building. What are some best practices for creating a marketing strategy using sponsored content? Create publisher guidelines that fit your marketing goals but also give the publisher some creativity. You want them to tap into their creative juices, but if they feel too constrained they'll end up writing another "5 great things ... " article. Make sure you enforce the impression count and ask what constitutes an impression. Some provide basic metrics, like a publisher's Twitter followers and monthly unique visitors. While big numbers might look impressive, we need to remember that a tweet is on average seen by 1 to 2 percent of followers and about 1 to 2 percent of those followers engage; monthly unique visitors which many get confused with a magazine's circulation, is an aggregate metric from ALL stories, and more likely than not, 95 percent of a publishers online traffic comes from 5 percent of their articles. As a marketer you don't necessarily care about this, you want their audience to see the article that was written and created about you. Use data to make better content. While publishers will get you the requisite number of views, you need to look at what stories are resonating with your audience. Look at the engagement on each story: if people are not responding to it in terms of reading it all the way, maybe it's the wrong message. Content marketing is not as easy to tweak as AdWords, but you can still use data to figure out the most effective stories. Tying content into the rest of your marketing is highly effective. We've found that content marketing and sponsored content in conjunction with retargeting display advertising leads to better brand recall and conversion. What about dos and don'ts for writing sponsored content? How can we keep readers engaged? Do adjust for factual accuracy. If your product doesn't do X, Y, and Z and the publisher says that it does, let the publisher know that it doesn't. Do provide guidelines for what you are looking for. It's hard for a publisher to guess what you want. Do allow for some leeway in creating content. Just because you paid for it, you shouldn't want to force your hand. The publisher knows their audience best and is the storyteller. Don't try and adjust for editorial. For example, if a writer says "I liked that product" don't ask them to say "I really liked that product." Don't ask for an advertorial. There's a reason why those didn't work. Audiences don't want to read about why your product is the best; rather they want to know how it integrates into the rest of their lives. What are the biggest mistakes you see brands making when it comes to sponsored content? How can we avoid making them? In addition to some of the don'ts listed above, a lot of brands try to work directly with influencers. I wouldn't suggest that, as there's a reason why platforms like Cooperatize exist. By going direct, it's similar to buying a car off Craigslist, versus buying a car on eBay, which ensures reputation. Furthermore, we are fully compliant and up to date with Google and the FTC. Platforms ensure that brands are compliant, as it's not recommended to try and cheat the Google algorithm or skirt around the U.S. government's rules. From a pricing perspective, brands need to move off the CPM anchor of display advertising. Sponsored content not only encompasses content creation but also distribution. To put this into perspective, tools like Outbrain and Taboola charge up to $2 per click to content (that is already created) as opposed to display advertising charging $2 per thousand impressions. 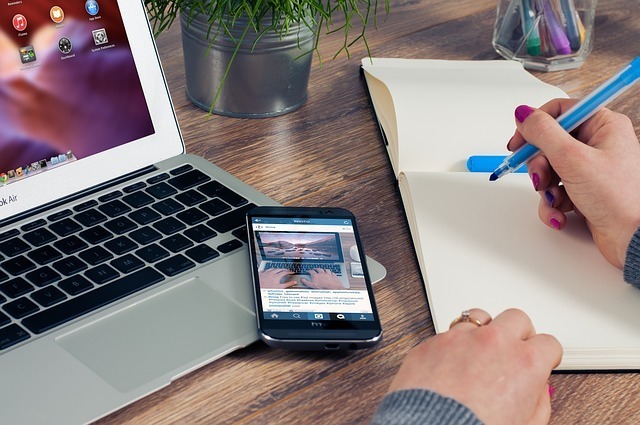 What are your favorite tools for promoting sponsored content? What doesn't seem to work as well? Facebook and Twitter are still the kings when it comes to paid distribution. The targeting is very specific, which will allow you to get quality views at a lower price. Publishers that have a sponsored content carousel on their home page is also a great tool. StumbleUpon is a nice way to get organic visitors to your content. Lastly, we sometimes use Outbrain and Taboola, although we've noticed that the reader quality is not as high. What is the future for sponsored content? We truly believe that sponsored content is the future of monetization for publishers. As long as publishers provide real metrics and continue to promote and make their content high quality, we see this as overtaking the economics of display advertising in the coming years. Connect with Roger on Twitter. Try ClubTexting for free today. Easter is a popular time for businesses to run specials. Promotion plays a valuable role in driving business, and these specials provide another activity to add to your marketing and advertising campaigns. One invaluable tool to help promote your Easter specials is SMS marketing. If you are unsure how to use this marketing channel to promote your Easter specials and increase business, try one or more of the following message types. Add a text CTA to attract more customers to your business. One of the best ways to use SMS marketing to promote your business and Easter specials is as a call to action in your advertisements and marketing collateral. It is easy to include a keyword and short code on your flyers, print ads, billboards, TV and radio spots, and digital marketing platforms as a way for potential leads to get more information. For an even larger impact, offer people a reward in the form of a coupon for joining your texting program. Texting is a powerful marketing channel, but it is best used at a frequency of about one or two times per week. However, during special marketing campaigns, you could turn it into a platform for daily deals. This should be a special campaign for which customers sign up to receive an exclusive daily deals for your business during a specific period of time, such as the week leading up to Easter. 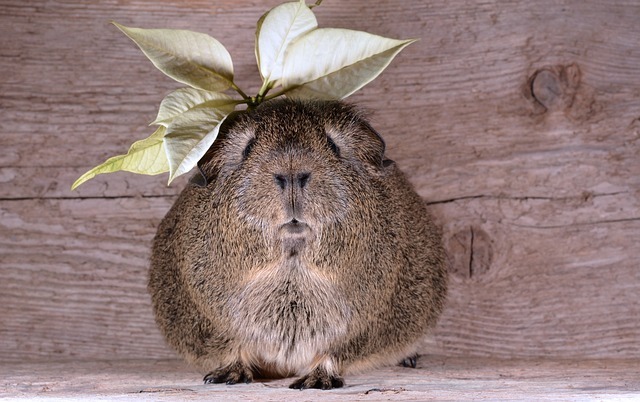 Kids don't have to be the only ones to get an Easter treat! 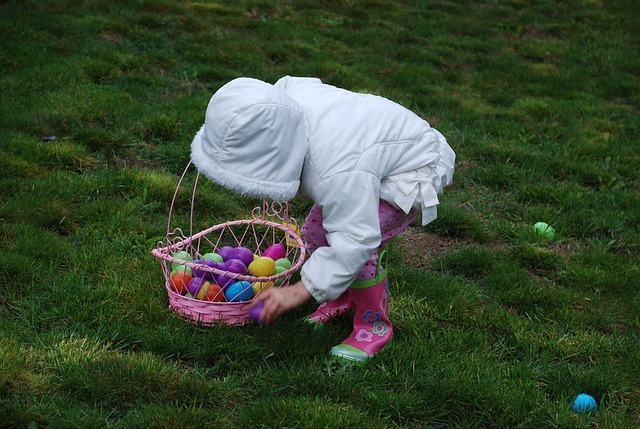 A popular game on Easter is the Easter egg hunt for children. With your SMS marketing campaign, you can get parents and other adults involved in their own digital Easter egg hunt. You can ask customers to find special keywords and text them to you to receive a special discount or another prize. You could even have a "golden egg" keyword that is the grand prize of the game. It is possible to put the keywords up around town on your advertisements or on various pages of your website. If you do not want to create an Easter egg hunt, you can still run a game for your customers and potential customers through a "Text to Win" campaign. For this game, customers text a certain keyword to enter a contest. At the end of the contest, you give out one or more prizes. To increase the numbers playing your game, it is best to reward everyone who plays with a small prize, such as a 20 percent off coupon or free shipping. Word of mouth is a powerful way to increase your business and bring in more customers. One way to inspire your current customers to share information about your company with their friends is to run a "Refer a Friend" campaign. You can use your SMS marketing platform to do this by asking your subscribers to forward a text to their friends. Reward both the customer and the friend with a coupon or discount. Limited time offers have a strong impact on whether or not people take action and make a purchase. 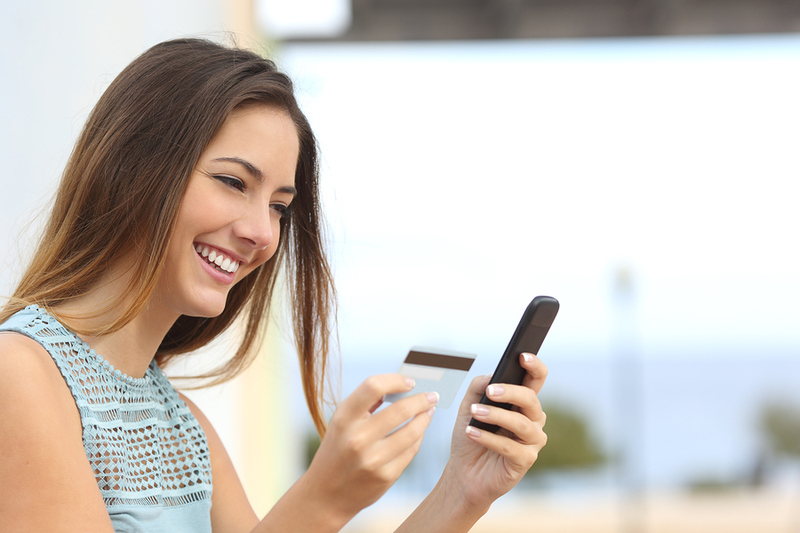 SMS has strong potential for running special flash sales or discounts that last for only a few hours, because most people read their texts within a few minutes of receipt. Send your subscribers ways to save even more on your specials. Easter is a holiday for which many people purchase gifts for their friends and family members, so they may be looking for ways to save some money on their purchases. You can use this incentive to send your text marketing subscribers exclusive deals that help them to save even more money on your Easter specials. Your customers and potential customers will be motivated to take action if you provide them with a great deal on the items or services for which they were looking or on items they did not even realize they needed. It is possible to take advantage of the Easter holiday to attract visitors to your business. Many of these SMS marketing campaigns can help you to promote your Easter specials. Plus, they can help with any other sales and specials you have in the future. Ready to see how texting can help your Easter campaign? Try ClubTexting for free. There are many features of a fitness center that attract people to choose it for their workouts. This could be the equipment, types of classes, fitness instructors, support, and more. Before people can choose a certain location over the competition, they first have to know about it and its various amenities. SMS marketing provides clubs with a promotional tool that can help attract more members. If you are unsure how to take advantage of this beneficial marketing channel, then try one of the following strategies. It is easy to add texting as a call to action to your already-existing promotional marketing material, including flyers, emails, print ads, radio or TV spots, and more. You can add a keyword and shortcode or number for people text to get more information. More than half of consumers have their phones within arms reach at all times, which means they can quickly and easily take action and text, no matter where are when they see your ad. Once they have signed up, you can continue to engage with them and encourage them to visit your center. Offers and discounts provide motivation to get potential clients to start their exercise program. You can reward people who sign up for your SMS marketing program with a special, exclusive offer, such as a free day pass or a discount on a monthly membership or class package. The overall value is the main reasons that consumers choose to patronize a particular business over another. When it comes to taking action on a mobile offer, the value proposition is a significant driver for why people choose to take action. Your SMS marketing program should not be just about attracting new members to your fitness center. It also works as a great medium for communicating with current members. It is possible to create groups out of your subscribers based on their demographics, behaviors, and status as a member. One group could be VIP members, to whom you can send special rewards. This may be exclusive offers and deals, such as a free personal trainer session, or it can be access to purchase or win special VIP gear. Customer satisfaction is key to maintaining your membership numbers. 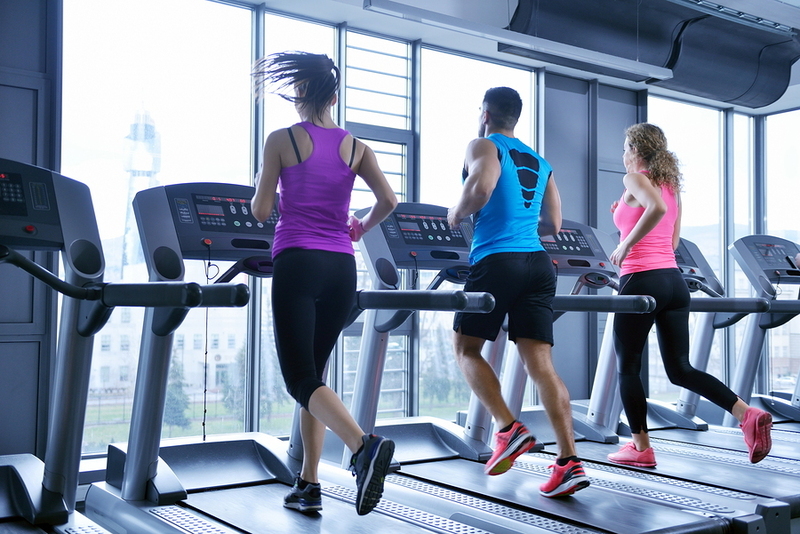 Although there will always be some members who leave your gym for reasons beyond your control, there are some things you can do to keep your members happy so they continue to come back and even bring along friends. SMS marketing provides a way to communicate with your clients. This could be to remind them about classes, especially those who have already signed up for one. It is also possible to send out schedule changes, even if they are last minute. Most text messages are opened within just a few minutes, making it the ideal communication channel for last minute messages. There is much more than just customer service, offers, and deals for which you can use your text message service. It is may be used as a way to motivate your members and support them in their fitness goals. You could create a digital personal trainer that sends out texts to clients to keep them on their path. You might send out simple, motivational messages or generally helpful information, such as nutrition and fitness tips. If you have personal trainers or nutritionists who work in your fitness center, they can also use your mass texting program to communicate with their clients to keep motivating them to continue on their fitness journey. With the right SMS marketing strategy in place, it is possible to increase your new membership numbers while also helping to retain your current members. This versatile medium can be used to promote your club while also helping to support your current members achieve their fitness goals. Ready to see how it can help your fitness center increase membership? Try ClubTexting for free. Does Text Message Marketing Work with B2B Marketing? Text message marketing is a powerful tool to engage with customers. Many businesses that deal exclusively in B2B marketing do not feel as though it could benefit them the same as it does those who work directly with the consumer. 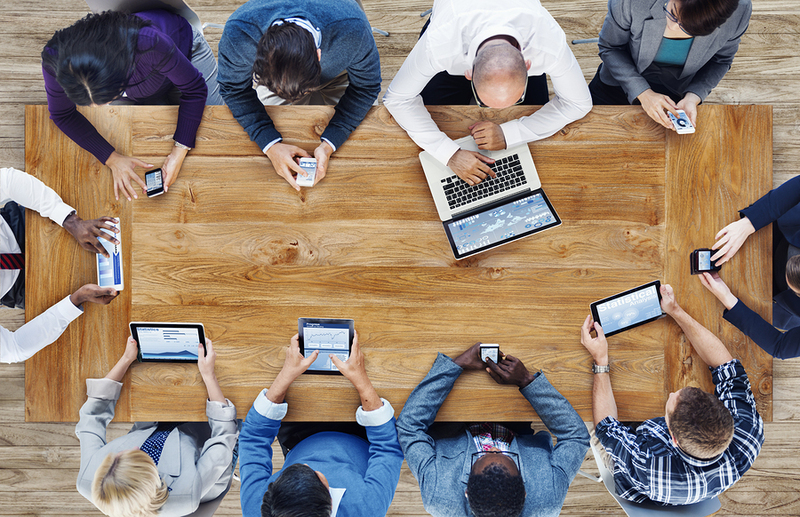 The truth is that texts can help B2B marketing just as much, if not more, than B2C marketing. Even though you are marketing towards a company, there remains a person or persons that makes the decisions with which you do business, and texting can work better than email to communicate with and market to these business professionals. Over the past decades, cell phones have changed how people interact. Across the board, there has been an increase in adoption of cell phones, with around 90 percent of Americans owning some type of cell phones, of which 64 percent are smartphones. Among business professionals, about 97 percent keep their phones within three feet at all time, and they look at it around 150 times per day. Text message marketing takes advantage of this situation to contact potential clients no matter where the person is. Many of these business professionals may check their emails through their phones, but there is often a large number of emails in their inbox. This intense competition could make it easy for a potential customer to overlook your email. Fewer companies have adopted text message marketing, which significantly reduces the number of competing texts your business contacts will receive. This helps you to stand out from the competition, helping to increase the chance that your message is received and businesses will choose you over the competition. Text message marketing has high engagement rates across industries. The average click-through rate for texting is 19 percent compared to roughly 4.2 percent for email. Additionally, around 98 percent of text messages are read compared to only 20 percent of emails. It does better than social media as well, with roughly 12 percent of Facebook posts and 29 percent of Tweets read by consumers. You have the chance to really grab the attention of potential customers and get them to see why they should choose your company. Your contact person at the business with whom you do or wish to do business will react similarly to the standard consumer when it comes to interacting with text messages. Customer service is an important component of any business, including those that deal in B2B marketing. One way to improve your customer service is to offer an easy and seamless way for businesses to contact you with questions or issues. Text message marketing can easily be used as a two-way communication method for customer service use. Your business contact can text you about an issue no matter where he or she is, including if they are in transit to see one of their clients or customers. A majority of consumers prefer to discuss customer service issues through text messages, and business contacts will want the same. The benefits of text message marketing do not just apply to companies that deal directly with consumers; businesses that offer goods or services to other businesses can also take advantage of this effective marketing channel. It provides a way to communicate with your potential clients in an engaging way to improve their impression of your brand. If you are unsure whether or not it can help your company, contact us to discuss yoru situation. Should You Automate Your SMS Marketing? SMS marketing platforms offer the opportunity to send live texts as well as scheduled texts. There is also a way to integrate it with your automation marketing to ensure that your clients receive certain messages at ideal points throughout the year. As a marketer, you may be wondering whether or not to set up automated messages for your text messages. Automation has its drawbacks as well as its benefits, so it works best in some situations and not in others. There are numerous benefits of automated marketing campaigns. Automation is an efficient way to send messages. It sets up a simple way to create, track, and monitor messages. Your routine marketing messages are sent out when needed, simplifying the process and allowing personnel to focus on other aspects of the marketing campaign. When you rely on automation services to create and send the messages, it reduces the risk of human error or oversight. This helps you to engage consumers while predicting their needs and behavior patterns, which in turn leads to better customer retention. Many people feel as though automation leads to a de-personalization and generic marketing campaign. However, the opposite is true. It actually allows you to better personalize your relationship with customers and potential customers, especially as you will have more data from which to track and analyze each consumer. Another downside that many marketers see when considering automation is that automation software programs tend to be expensive. This may be true, but this type of marketing has a relatively high return on investment, especially as it helps to streamline your work and improve customer retention. In terms of SMS marketing, much of the automation process is already a part of the platform, making it a cost-effective solution. However, you often have the option to integrate your text message data with your automation program or other customer tracking software for a more comprehensive view of your followers. Marketing automation and creating automatic text messages for your SMS marketing campaign is slightly different. Most text message campaigns are inherently automatic, especially for the opt-in message. An example is a confirmation message when a customer texts you the opt-in keyword or a special discount or reward when they text you a designated keyword. Once your customer is on your list, there are other ways to incorporate automation into your text message campaign beyond just scheduling them. You can send out special birthday texts, anniversary messages, and more. Some text platforms also make it easy to take the concept of automation marketing to create personalized drip campaigns based on when your customers signed up for the campaign or other data. Utilizing concepts of marketing automation or integrating your SMS marketing campaign with your larger automation program works well for business in a variety of industries. Although you have set up your automated messages, you may want to supplement them with live messages that you create. This gives a little more life to your campaign, especially as you can take advantage of current events. Text messages are opened within a few minutes of receipt, so they make for the perfect marketing channel for last minute messages. This includes developing a flash sale, discounts for services or goods to drive business on a slow day, and other ways to get people to respond right away. These types of messages cannot be automated (yet), but rely on a savvy marketer seeing potential for business in a particular situation. Marketing automation and SMS marketing go well together. It is a way to create personalized messages while streamlining your entire campaign. However, there are times where you do not want to rely on this type of marketing, so it is important to remember to also take advantage of the unique benefits text message marketing can provide beyond being a part of an automatic marketing strategy. Contact us to discuss automating your text message program. Lorena Brockman is a blogger for JennsBlahBlahBlog.com and has notable know-how in blogging, marketing and sales, and has been deemed "Greatest Auntie Ever" by many. To learn more about Lorena, visit her company's blog at JennsBlahBlahBlog.com. Entertainment venues such as yours are turning to mass text messaging to stay connected. They use text messages to promote special deals and events as well as day-to-day happenings. Another way businesses get more customers through the door is by hosting fundraisers. Following are four fundraising ideas to promote using mass text messaging. Everyone has been to a ladies' night somewhere: half-price drinks, no cover, and other specials for females only. Younger people are the target audience for these events, and mass text messaging is the more effective option, as younger crowds are more likely to check their phones than any other kind of media. With this fundraiser, an organization like the Domestic Violence Project, Inc. would benefit from the event. The nightclub could auction off dates with different fellas that ladies (or men) can bid on. Those proceeds would go to the selected organization. Promoting your ladies' night specials and the cause that will benefit from the evening with mass text messaging will bring people from all walks of life to raise money for a great cause. Halloween is only once a year, but people can dress up any time. At a Puppy Party, everyone arrives dressed as a puppy (or kitty), or with painted faces. If customers are wearing the proper attire, they can bypass the line and join the party, free of charge. On the other hand, you could require a can of dog food or a kitten toy as an entrance fee. Specialty drinks and a contest for the cutest puppy costume are great ways to raise money for local animal shelters or larger organizations such as the ASPCA. Use SMS marketing to promote the event and spread word about the good it will do. Almost everyone loves karaoke. Why not use it to help kids battling a childhood disease? Host a fundraiser by holding a karaoke contest. Participation would require admission fees, which would be donated. Through a sing-off, the winner is decided by the crowd. Promoting this type of event with mass text messaging will reach tons of people, some of whom will forward the info on to their buddies. Want bonus points? Announce that the winner of the Karoakids contest will perform live for the children at the hospital! Homeless and hungry families are a big problem in the U.S. In 2010, 16.4 million children - that's one in four kids - didn't know when their next meal would come. Host your own food drive to bring some relief. Invite customers via text message to a special night of drinks and music. Attendees can receive free admission if they bring a non-perishable food item or a personal care item. Advertise drinks specials, live entertainment, and the fundraiser via SMS marketing, and emphasize that the proceeds and donated items will be given to a local shelter. Mass text messaging is a great way to promote a nightclub or bar. It's especially effective when the message is about a fundraiser and a cause. Fundraisers such as the above are a great springboard to get people in the door, and text message marketing is sure to bring prospective and loyal customers alike together to support a cause. Ready to get started with your own SMS marketing campaign? Try ClubTexting for free! Although the majority of people in America own cars, there are plenty of times where they may choose to hire a limousine. Your customers may have several options for these services, making your marketing approach that much more important to help you compete. One way to boost your business and stand out from the crowd is to use text message marketing as a part of your overall advertising strategy. 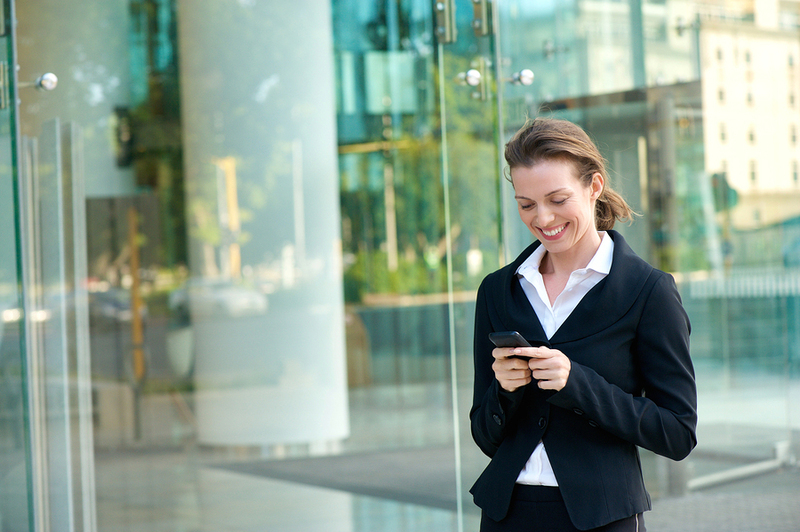 Adding texting to your marketing plan can increase your limo business. SMS marketing is an easy tool to integrate into your marketing strategy. However, it is a permission-based medium. This means that you first have to compile a list of subscribers to whom you text. This can be built by promoting your texting campaign through other marketing platforms, including print ads, social media, your website, and TV or radio ads. People may opt-in by texting a designated keyword to your dedicated short code or number. Once you have their information and permission, it is possible to send them text messages, both promotional and service-orientated, to improve customer engagement and your limo business. 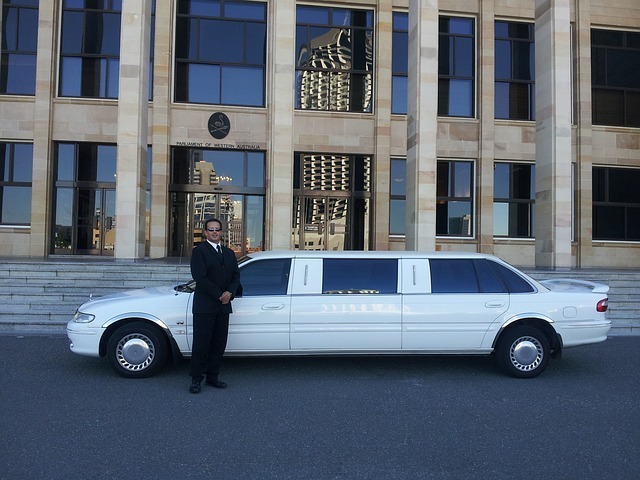 It is popular to book a limousine or other special car service for special events, such as the prom, a wedding, an anniversary, a birthday, or other celebrations. Often, weeks, or even months, of planning go into the event to ensure that everything works out perfectly. Despite the planning, it is possible for your customers to forget details about the service, including the date and/or time of pickup. Text message marketing offers an easy way to send reminders. This reduces the risk of someone not being ready for the limo and your driver having to wait, as well as reducing the number of last-minute cancellations. Texts have an incredibly high open rate, so you can be almost certain that your message will be read. Most people only think to hire a limo or car service for very special events, but any date night or celebration can become a special one if the price is right. You might send your text message marketing subscribers exclusive offers and deals to motivate them to sign up for additional services. This works very well in cities where you may offer car services beyond just limousines to get around the city. People may choose your service rather than taxis or public transportation when they plan to go drinking or otherwise do not wish to drive themselves. If your limousine company occasionally offers special services, you can text your subscribers to give them the first chance to sign up. This could work well if you add a luxury or classic car to your lineup or plan to start offering Champagne and strawberries or other luxury items to enhance the experience for customers. It may be beneficial to offer exclusive deals or special services to you VIPs as well. It is possible to divide up your subscriber list into groups, then target special offers and deals just to those who are your VIPs. You could also use this service to promote special package deals, such as wine tours of local vineyards or other tours of the area for locals and visitors alike. People can text you from anywhere and can be reached anywhere. A call to action (CTA) is an essential component of any marketing campaign. Finding the right one can make or break your efforts. Texting can be used in conjunction with any marketing collateral as a way for your potential customers to take action. People carry their phones with them anywhere, so no matter where they see or hear your ad, they will be able to take action right away. It is also a simple action, since they only need to text a keyword rather than fill out a form online or remember to call your company. As such, a highly effective CTA, this will help your marketing strategy to have a better overall success rate which, in turn, boosts your business. Text message marketing is a cost-effective way to help boost your business. By sending messages to your customers, you can remain in communication and increase the likelihood they will choose you when they are in need of a limousine or other car service. If you are ready to see how it can help your limo business, try ClubTexting for free. Many bicyclists join a biking club for long rides because it ensures their safety while also providing a community and support for getting through the ride. There is also an important social aspect to bike clubs, with many rides ending with breakfast, lunch, or possibly drinks. When it's just a couple of friends out for a ride, it can be easy to manage, but once you try to organize a bike club, you require more tools to ensure that everyone receives relevant communication from the club. One tool that can help you organize your bike club members is mass text messaging. There is a high possibility that members always have their phones, even on a ride. Cell phones may only be a few decades old, but society has become incredibly dependent on them. A high percentage of people carry their phone with them anywhere, and many never let it out of their reach. 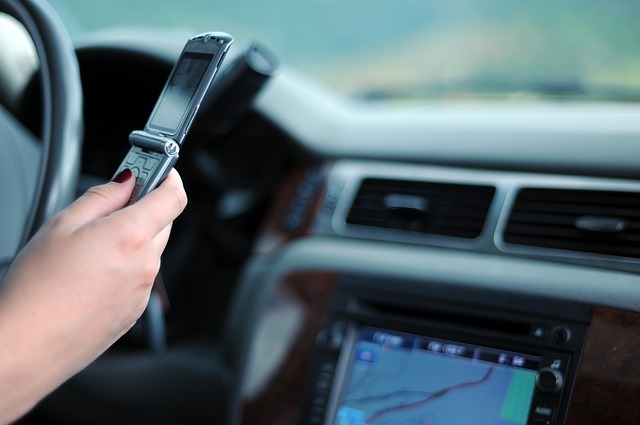 This means that it is highly probably that your members also take their phones with them on a ride, because it gives them a way to reach out in case they run into a problem on the road. People have their phones with them almost all the time, so you can feel confident that they will receive any texts. You should know that texts have an almost 100 percent open rate, often within a few minutes of receipt. This makes texting the perfect means for conveying last-minute information and emergency alerts. If inclement weather causes a cancellation for a ride, you can contact everyone in a flash and feel confident that they know about it. Any other last-minute changes, such as a change in location or time, can likewise be sent with a high chance of actually being read. Whether or not your bike club has a membership fee, there is a good chance that you have minimal funds for the club. This means that you are always looking out for inexpensive ways to communicate with your members. Mass text messaging is a relatively low-cost method, often costing just a few cents per text. Most text message services do not charge a base price, but simply charge you for the texts sent. Mass text messaging is not just a way to send messages to your members, it's also a way they can communicate with you. This makes it easy to get an RSVP for an event. Texting has a higher engagement rate than email and other digital methods of communication. Plus, it is possible to use it to get people's preferences for the next social meetup or location for the next ride. 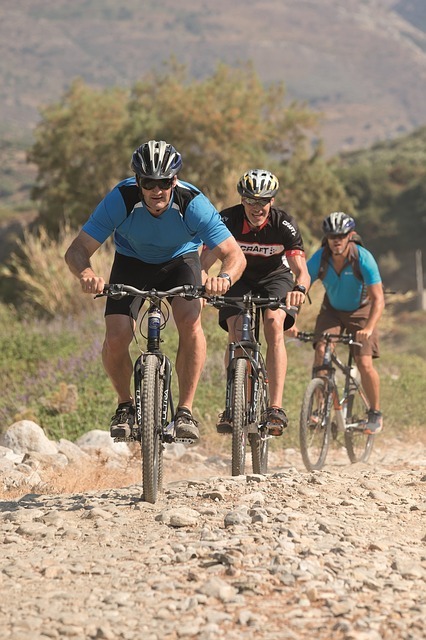 If you have a large biking club, you might have several levels of membership. Some may come only sporadically, while others will be at every event. Some may be interested only in short rides, while others may only come only if the mileage is over a certain amount. You can group these individuals by their preferences and send messages targeted by them. This reduces the number of messages people receive that are not relevant to them. Mass text messaging is an easy-to-manage communication medium. Most services have an online platform with which you input and arrange contacts. You can compose your message and send it right away or schedule it for a later date and time. 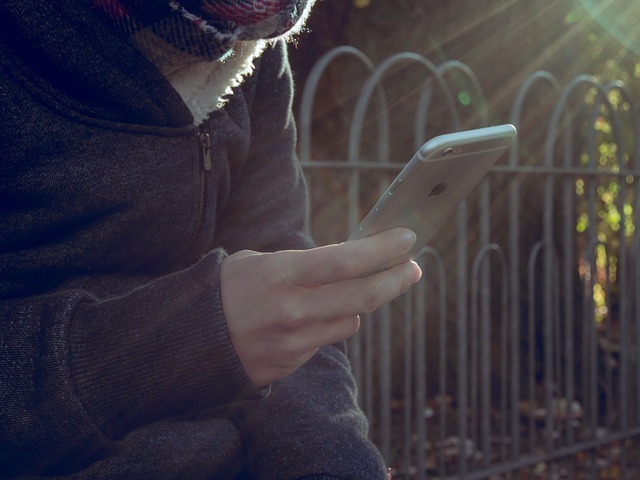 It is possible to send messages using your phone, perfect for when you are already heading toward the meetup and realize that you need to tell your club members something, such as a delay or change of location. Smartphone or not, your members can receive a text message. Mass text messaging is a highly accessible communication method. It is often seen as simply a Millennial form of communication, but it has become a popular form of communication for all age groups. Almost all cell phone users have an SMS-enabled phone compared to around 64 percent that have a smartphone. That means that you can more efficiently communicate with those who may not have the ability to go online if they are not at a place where they have email access. You may be able to handle communication without signing up for any type of email or texting service when your biking club has fewer than 10 people. However, once it grows, it is important that you set up an efficient way to communicate with all members. Mass text messaging offers a perfect tool for ensuring everyone receives the information most relevant to them, even when it involves last-minute changes. Contact us to discuss implemeting texting for your group. 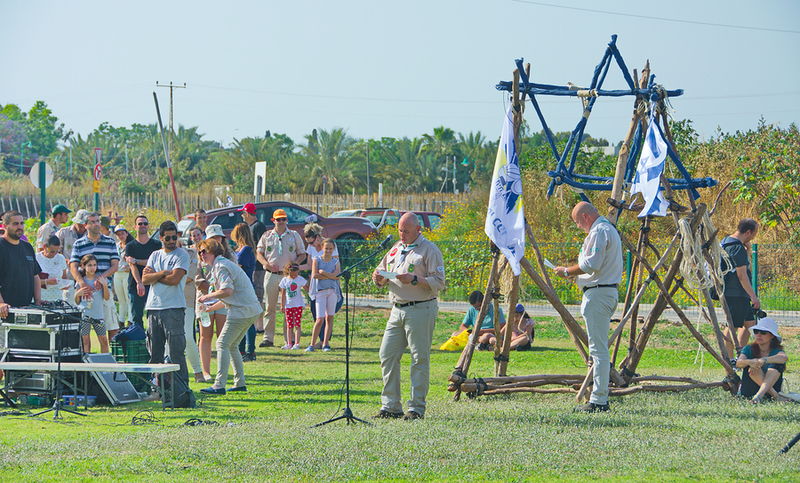 Scout leaders teach their recruits how to get by in everyday life without relying on technology. As useful as these skills are, they don't mean that the leaders themselves have to avoid gadgets altogether when performing their duties. The role carries a lot of responsibilities, from ensuring all children are kept safe from harm to making sure they don't get lost in the woods. In order to carry out these tasks effectively, it helps to have every extra tool at your disposal, ready to be put to use in whatever situation commands them. Now there aren't many scout leaders who'll head off on an expedition without their mobile phones close at hand at all times. In fact, there aren't many who will go anywhere without them. Yet of all the ways to use them, there is one which enables leaders to communicate with the troops, organize all operations and keep everyone updated at all times. It's also a method that many are yet to adopt. Here's why more scout leaders should earn their badge in group texting. Sadly, not a single mobile in sight. Important events can happen in an instant, and letting an entire group of kids plus their parents know what's going on is not always easy. Whether it's as low key as tomorrow's fundraising event being cancelled or as ludicrous as a bear roaming the forest near camp, emergency announcements will crop up every now and again that a scout leader needs to ensure everyone is informed about. This is where group texting comes into its own. With most people keeping their mobiles virtually attached to them at all times, group text messages are often read within minutes by the vast majority who receive them. It is the quickest, most reliable way to guarantee that large numbers of people will know what's happening at all times. It may be an unscheduled meeting, a last-minute field trip or an impromptu fundraiser. Whatever the occasion, sometimes events are arranged with little advance notice, and getting people to come along is never easy when most don't even know they're occurring. This is where a text message marketing service can come in handy. Able to reach countless people in an instant -- and with messages that by their very nature are concise and easy to digest -- an SMS texting service can help mobilize as many as possible in a short time frame. Being a scout leader has many similarities with being a businessperson, one of which is actually having to run profitable schemes every now and again. With selling cookies as the classic example, scouts man their own fundraising projects occasionally to raise money for their activities. Therefore, not only can group texting be used to keep them and their parents in the loop, but it can be used for their customers as well, who will be happy to hear when the next batch of cookies has arrived. You couldn't leave anyone waiting for these, could you? It seems horrible to say it as the scouts are built on the belief that children have the potential to exceed all expectations, but in reality they aren't always the most reliable message carriers. Some leave notes lying around, others forget to pass on important information and the rest are often inconsistent at best. As a result, many parents end up not knowing what's happening in upcoming weeks, leaving them either clueless as to their child's activities or calling the scout leader for updates, wasting their time. With group texting, you can skip the middle kid and send messages straight to their parents, guaranteeing that every piece of information reaches its intended recipient. With so many ways that text marketing can help make a scout leader's role run a lot smoother, it's a wonder more haven't taken advantage of this method so far. If you'd like to give it a go for yourself, then try ClubTexting for free and add another badge to your chest. With the start of the New Year, it is time to check into the state of SMS marketing for 2016. The past few years, many companies have found implementing text message marketing campaigns brought them additional business. The effectiveness of this marketing channel is in no way diminishing, as the following statistics demonstrate. Not everyone has a smartphone, but most people have SMS-enabled phones. SMS marketing can be used to target a wide range of people, including those who do not have smartphones. Globally, there are 3.6 billion unique mobile subscribers, which means that one-half of the world's population now has a mobile phone, compared to one in five people just a decade ago. Mobile adoption is expected to continue to grow -- an estimated three-fifths of the population will have a mobile subscription by 2020. Although smartphone adoption continues to increase, a significant number of mobile phone users simply have an SMS enabled mobile. Consumers still appreciate receiving marketing messages via text. Over half of consumers believe that businesses could -- and should -- text more often. The majority of subscribers choose to opt-in to a campaign for coupons or deals, although almost half also enjoy receiving personal alerts or simply remaining aware of what is happening with a business. Three-quarters of consumers leave with a better feeling about a company after interacting with them through text message. Only a very small percentage of those feel as though SMS messages from companies are disruptive or intrusive. One reason that SMS marketing is successful is that people have their phones close to hand at all times. This remains true, especially for Millennials. About 87 percent of Millennials never let their phones leave their side, and about 80 percent reach for it first thing in the morning. 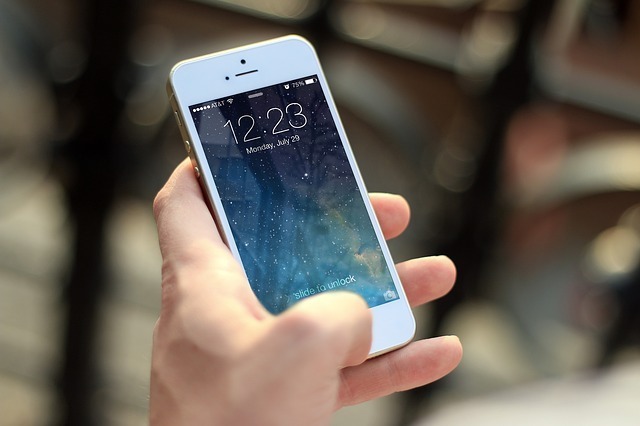 They continue to want more ways to utilize their smartphones for connecting with businesses, and they believe it is important that a business incorporates mobile-friendly marketing and websites. Millennials have a reputation for having a strong relationship with their phones, but older generations also are becoming more and more dependent on mobile phones. Compared to the 97 percent of Americans aged 18-29 who text message, 75 percent of 50-64-year-olds also do so. Although there is a drop in text messaging, it remains a significant number. Your text message program can help you to learn more about your customers. SMS marketing has provided an effective way for businesses to interact with customers and gain insight into their wants and needs. Many companies have successfully jumped on board, such as Macy's and Starbucks. In 2016, it remains a versatile medium: users have the ability to send out transactional messages, provide customer service, promote new or existing services or products, share deals and discounts, and find out customer opinions through surveys and/or polls. SMS marketing remains a strong force in 2016, yet only about a quarter of marketers utilize it. If you have been hesitating to begin a campaign, then there's no better time than now to get started. Ready to see how SMS marketing can help you? Try ClubTexting for free today! Personal shopping is all about taking away the hassle of shopping for clients by understanding their personal style and recognizing items they will like. Effective communication is key to succeeding in personal shopping. One way to enhance your customer service is to use SMS marketing. People are already turning to their smartphones and the Internet for assistance with shopping, making it a natural tool for the savvy personal shopper. If you are unsure how to incorporate SMS marketing into your business, then try one of the following strategies. Offer specials for those who sign up for text messages from you. One way to encourage more business is to send out offers and deals through text messaging. You can incorporate your SMS marketing into your other marketing collateral, including print, television, radio, and digital ads. Text-based calls to action have been found to work better than other CTAs. And it is simple to add a keyword and your long code to your marketing material. By offering a discount to those who sign up, you increase the number of people who will take action and sign up. 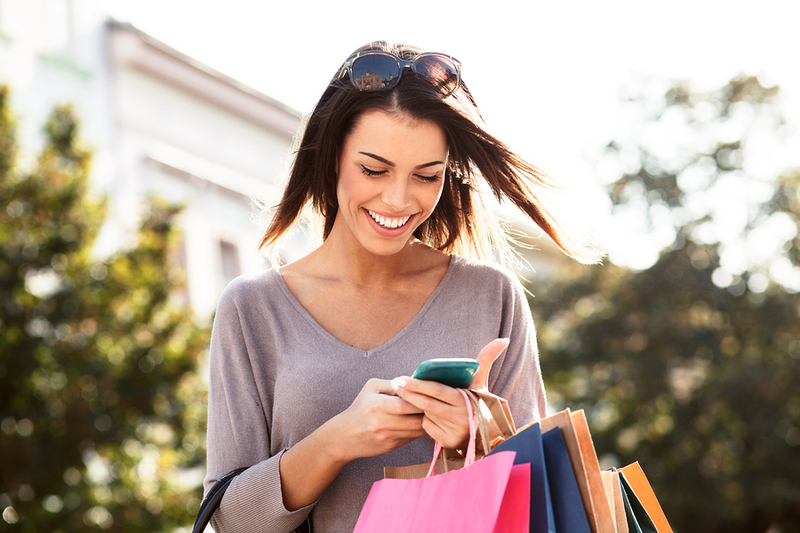 Once you have a client, you can use your SMS marketing program to keep him or her updated during a shopping trip. Although your clients may accompany you during shopping trips some of the time, many people hire a personal shopper to shop independently. It is possible to send photos of clothing to see if your clients are interested, or you can just send a message saying that you have found an item or that a new collection has come into the store. It is also beneficial to use text messaging for any transactional messages to keep your client informed. Many people turn to personal shoppers to help them to find clothing, especially if they do not have a good sense of style for themselves. 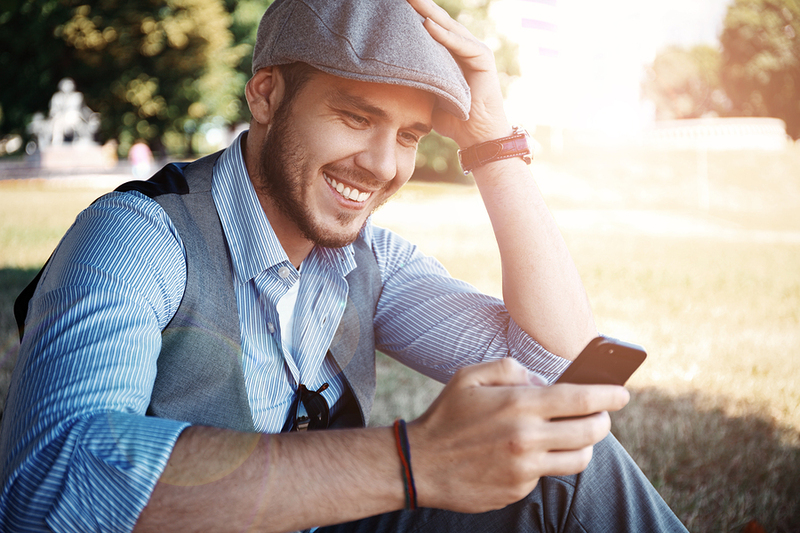 To help enhance your service, consider sending out fashion tips to your customers through text messages. Your SMS marketing subscribers can be put into groups on your texting platform. Then, you can send out personalized style tips to the different groups, based on a variety of factors including age, gender, style preference, body shape, and more. Your clients will enjoy learning how to better put together outfits based on your expertise. People enjoy being rewarded for loyalty, and it is possible for you to create VIP benefits for your repeat customers. Some of your clients may just work with you once or very sporadically. However, you can create a special group of your most loyal clients and give them special benefits. This could be first look at a new collection or other priority services, such as extra rewards, discounts on your services, exclusive gifts, and more. Send a simple text to remind your clients about appointments and other events. As a personal shopper, you also have to schedule appointments with your clients, who are often very busy. To ensure they do not forget your appointment, it is beneficial to send them a text reminder. Texts have a near 100 percent open rate, so you can ensure that your clients have seen the reminder. It is best to send it about a day before the appointment to give them time to get back to you if they need to reschedule. There are many other ways that you can incorporate SMS marketing into your personal shopping business to better serve your clients and grow your business. The personal shoppers at Nordstrom's are taking advantage of the benefits of this technology, and so can you. It is a simple to use and a cost-effective tool that will enhance your business. Ready to get started? Try ClubTexting for free today! 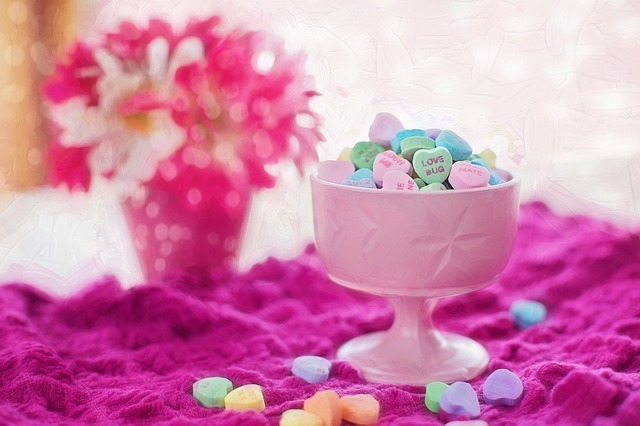 It's almost time for Valentine's Day, which means that you only have a few weeks to organize your special holiday event. One invaluable tool to help you is text message marketing. It not only be used to promote your event, but it also provides a way to communicate with guests, volunteers and staff to ensure that everything runs smoothly. If you are unsure how to get started with text message marketing, try one of the following approaches. Effective text message marketing is a fantastic way to enhance your promotional capabilities. You can add a text-based call to action to your marketing collateral, which gives your prospective attendees an easy way to engage with your promotional materials. Add a keyword, phone number, and other information about your texting service to TV, radio, and print ads, as well as any flyers you hand out. Then, ask your customers to send a text to find out more information about your event or even RSVP. Promotion with a SMS-based call to action is one of the first steps of getting people to your event. The second step is to use your text message marketing campaign to remind your subscribers about the event. People's schedules get busy, making it easy for them to forget about an event. The day before your event, you can send a reminder to those who have tickets and/or all subscribers to increase attendance. Texts have an almost 100 percent open rate and are read within a few minutes, so you can be sure your subscribers will see your reminder. As you create plans for your Valentine's Day event, you may start to wonder about what your audience will want. Use text messages to collect their input. You can send out a poll asking your customers what they would like to see, along with a few keywords that stand for each possible outcome. Then, your customers can text the keyword that best matches their preference, and the keyword with the most texts wins. Use text message polls to help you figure out a decoration theme, music, menu items, and more. Text message marketing does not just have to be about you interacting with your customers and guests; it also works as a way to interact with your event staff and volunteers. It is possible to create groups in your subscriber list, and send targeted messages. You will also be able to receive texts, allowing your staff members and volunteers to get in touch with you with any questions or problems. It is often much easier and faster to send a quick text than it is to email or call, making it a much more efficient way to communicate with your staff and volunteers to ensure a seamless event. Text message marketing can help you spread the word about and organize your event. If your organization is planning a special Valentine's Day event, use a texting service to ensure it runs smoothly. Try ClubTexting for free to enhance your Valentine's Day event organization. The Christmas pudding has digested its way through everyone's systems and the hangover from the New Year's sherries has finally worn off. Back into the usual grind of work and weekends, everyone is pushing harder, drinking less and running out of excuses for the one thing they all know they should be doing: exercise. 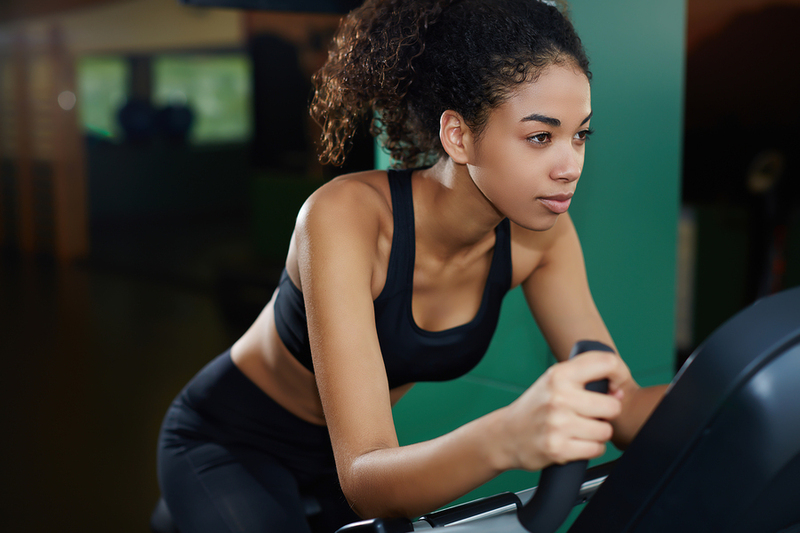 With this latest wave of partly-motivated, partly-reluctant clients flooding their way, personal trainers tend to experience a two-part flow during January -- although their newest additions seem keen at first, they usually wilt away after a few weeks. Keeping them to the plan is never easy, but there's one form of communication that could provide the extra push they need: mass text messaging. Wherever a client is, their trainer can guide them at all times. Text message marketing is growing in popularity among trainers, gyms, health clubs and other similar businesses, as it gives professionals the opportunity to motivate their clients from a distance, remind them of events and commitments, and make them aware of new offers. Not only does this aid the valuable relationship trainers already have with their clients, it can also be personalized and categorized with different messages sent to various groups. That way, what a trainer says to their Monday spinning class will be relevant to them and not their Friday weight-training proteges. Help your clients stay motivated by using mass texting to reach them. As for the possibilities themselves, there are numerous ways to put mass texting to good use. Here are some of the main ones to get the imagination flowing. A trainer's dentist appointment gets canceled and suddenly they're left with a free afternoon. They'd love to take this opportunity to fit in an extra lesson this week, and with text marketing they can quickly muster a big enough gathering to make it worthwhile. It can be frustrating for trainers when a few people don't turn up to class and they can think of others who'd really benefit from taking their place. 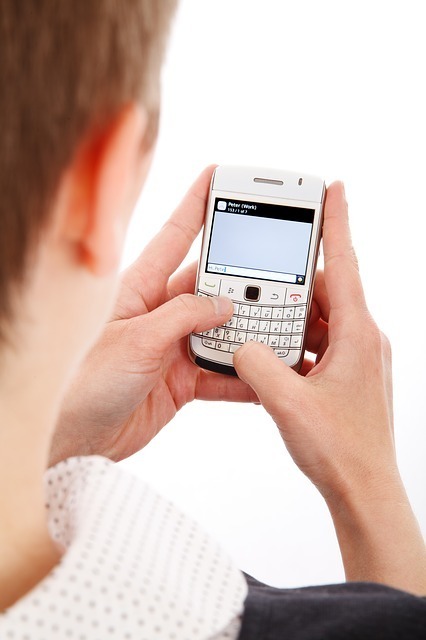 With bulk text messaging, they can reach them instantly and leave no mat unoccupied. The world of personal fitness is incredibly varied, and with so many methods to try trainers will often want to branch out into new areas. Advertising these in a bid to find new people can be costly and ineffective, yet being able to inform their existing -- and satisfied! -- clients through a text marketing service is more likely to result in a successful head-start. Sticking religiously to a new diet is never easy, and it's hard to motivate clients when you only see them occasionally. Being able to send the odd reminder via text marketing -- whether it's a kind note to eat more fruit or a cynical comment about leaving the kid's birthday cake alone -- helps keep them on track. Mass texting can open up so many new opportunities, and the list above only scratches the tip of the iceberg. Put it to good enough use and a trainer might even find their clients are sending them the first text instead. Seeing as this is a relatively new concept for many, it helps to have an easy-to-use platform when getting used to it, with live support there to give some helpful advice if needs be. We can provide just that, and what's more you can try Club Texting for free today. Get marketing now, and see how texting can revolutionize training. Are you trying to market your brand to a mass audience? What strategies have you tried? Did you know that you can send targeted messages via text - custom tailored for the person you're trying to reach? Natascha Thomson is the CEO of MarketingXLerator, a marketing consultancy with a focus on social media. She consults with small and large clients including SAP, Polycom, SLAP Company, LookingGlass and HR Strategies. Mass texting simply means that a text message is sent by one entity to a group comprised of multiple individuals. The word "mass" in commercial use generally implies at least hundreds if not thousands of recipients. It also often carries a negative connotation as it conjures up the image of spam. But spam messages are not defined by the size of the list of recipients but by a lack of targeting of the message to the individual recipient. Herein lies the challenge of mass anything: the message either has to be equally relevant to all recipients (homogenous audience) or individually customizable. Both are possible. What are some dos for mass texting? 1. Know your audience. Messages need to be relevant and sent at the appropriate time(s) and frequency. Otherwise it's just spam. 2. Earn and nurture your audience's trust. 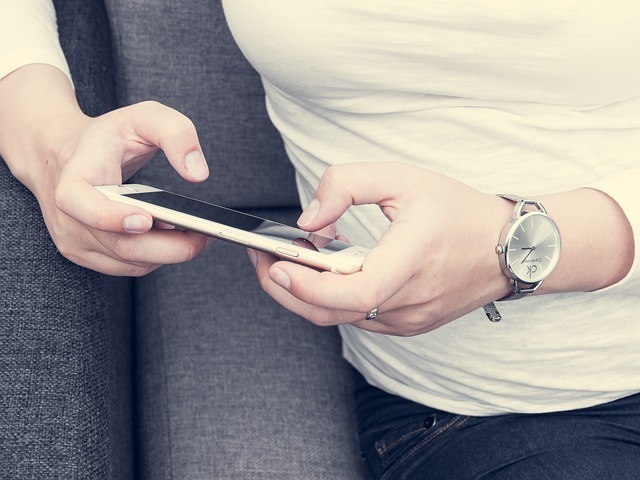 Especially on mobile devices, consumers feel that you are making a very personal "connection" with them in their "real" ad hoc lives. Irrelevant messages make you seem like an intruder and recipients will quickly opt out. 3. ALWAYS have a Call-To-Action (CTA). Your text message has to make it crystal clear what's in it for the recipient. A typical CTA is to ask the recipient to send a keyword to opt in to your contact list. For in-store offers, the CTA could be "show this text for a discount." 4. KISS (Keep It Simple Stupid). This is the best strategy. In the brevity of 160 characters, use crisp, clear and unambiguous language and a simple CTA. 5. Measure and fine-tune. Define metrics that allow you to track your progress and fine-tune your texting and integrated marketing campaigns. Think big picture. What are the "don'ts" for mass texting? 1. Be relevant. NEVER, and I mean NEVER, send a text message to somebody who is not clearly in your target audience for the message. Just because they opted in does not entitle you to send them irrelevant information. 2. Don't break the law. FCC rules protect consumers under the TCP and CAN-SPAM Acts. Commercial text messages can only be sent to a mobile device if the user has opted in, IN WRITING. 3. Never send anonymous messages. Make it clear in the message signature who you are and how to opt out. 4. Avoid abbreviations or lingo if you are not 100 percent sure your audience is familiar with them. Otherwise you might create confusion and frustration. 5. Don't be careless with your list. Protecting your clients' data and privacy needs to be your key concern. In the age of cyber crimes, hackers will exploit any security weakness, which can cost you customers, your reputation and revenue. How can businesses use mass texts to their benefit? Text messaging is just one avenue to reach a target audience, don't let it be your only one. Text messaging should be part of an integrated marketing strategy that also includes traditional online and offline channels like email and events, as well as social media. Which integrated marketing strategy is right for you is strongly dependent on your objectives, your target audience, and your resources. Know your target audience intimately, including where and when they like to receive information and in what formats. The more relevant you can make your message, the bigger your chances for conversion and subsequent ROI. Follow Natascha Thomson on Twitter. If you own a food truck business, it is important your clientele can find your truck no matter where you park. Many food trucks rely on social media to inform followers of their next location, but SMS marketing provides a better way to update customers on where you are. There are several ways to use text marketing to grow your business and ensure that your patrons always know where to find you. Let your customers know your current location through text. One of the best things about this communication channel is that text messages have a high open rate, increasing the chance that your subscribers get your message. When you post your current location on your website or social media accounts, there is no guarantee that your customers will actually see the update. Alternatively, when you text your customers directly, they will be able to pick up your message quickly and make their lunch plans. 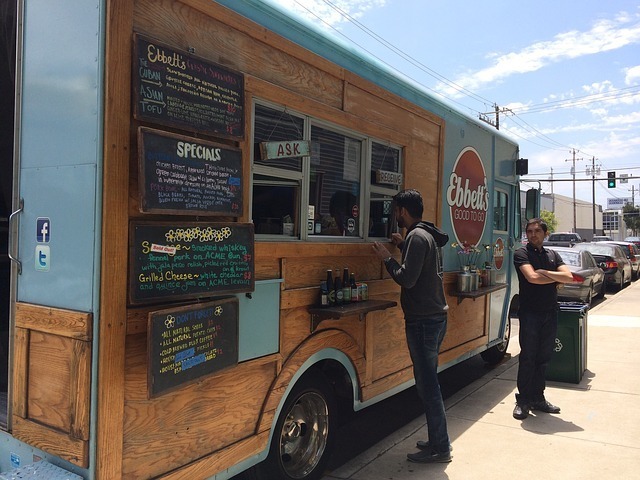 Your food truck may offer special menu items every day or simply do occasional promotions. Sharing your menu specials via text message can help to increase your business for the day. If you have several specials, then you can highlight one and include a link to your website that details the rest of the information in the text. It is also beneficial to use texting to share exclusive offers and discounts to your followers. These offers provide a little extra incentive to stop by for a bite. After all, everybody loves a good discount! Text messages are the perfect way to share last minute deals. If you're having a slow day, send out a text to your subscribers with a last minute deal that is only redeemable that day. If you time it well, you can reach them when they are deciding what to do for lunch. A limited time deal will motivate them to choose your food truck over the competition. Another way to use SMS marketing to boost your food truck business is to develop contests and scavenger hunts. Text to win contests are easy to run and have the added benefit of growing your texting subscribers. You can promote your contest on print ads, your website and social media, and on your truck itself. Your customers can text a keyword for a chance to win something, such as gift cards, free meals, and more. It is best if everyone gets a small reward for entering. As a mobile business, it is also possible to create a game out of letting people find you through a scavenger hunt. Although you do not want to make it too difficult, it can drive business and excitement by engaging your customers. If you choose to do this, consider providing a special incentive for customers who participate. Ask your customers to text you their feedback to help you improve your service. You can also choose to receive feedback from your customer via text message. Many people prefer to handle customer service communication through text messages, but a lot of companies do not think to offer this service. Furthermore, it is easy to send out polls to your subscribers to gain invaluable insight. You simply have to send out a question along with two to four keywords. Your subscribers text back the keyword that matches their answer choice. Then, the keyword with the most texts is the winner. You can use polls to develop a new menu or decide where to park the next day. Try ClubTexting for free to see how it can help you reach your customers. Starting and running a bakery seems simple enough -- create delicious treats with sweet, gooey frosting and watch the money roll in. 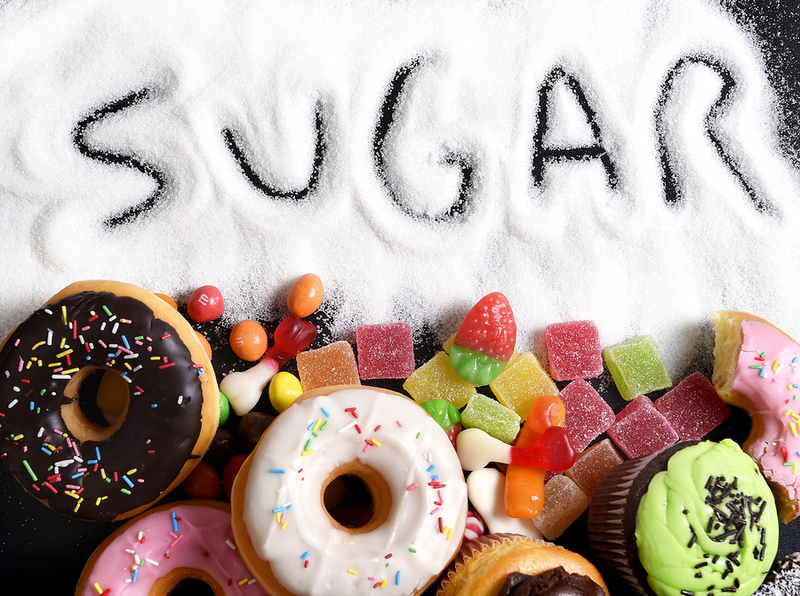 However, no matter how yummy or sugary your baked goods, you have to open your doors and get the customers to your bakery if you want to share your pastries, bread, cupcakes, and other treats with the world. One quick and easy method to increase sales at your bakery is through creative text marketing messages. Effective text marketing is more than just blasting your subscribers with random text messages. Bakeries have an edge over other types of businesses simply because of the many holidays and events in which customers rely solely on baked goods. Make sure you are sending out text messages on the big dates but don't forget the holidays and events that aren't always as popular like Secretary's Day, Boss's Day, and of course, National Donut Day. Even if your particular bakery doesn't offer donuts, it doesn't hurt to give your customers an excuse to stop by for a treat. Every day should be donut day. If the popularity of platforms such as Pinterest and Instagram are any indication, people love pictures of food. In fact, the top Pinterest pins are often those including some type of exquisite dessert or baked good. When you send out your text messages, make sure you include a picture of the bakery's cake of the day, an assortment of pastries, or products that are brand new to your bakery. 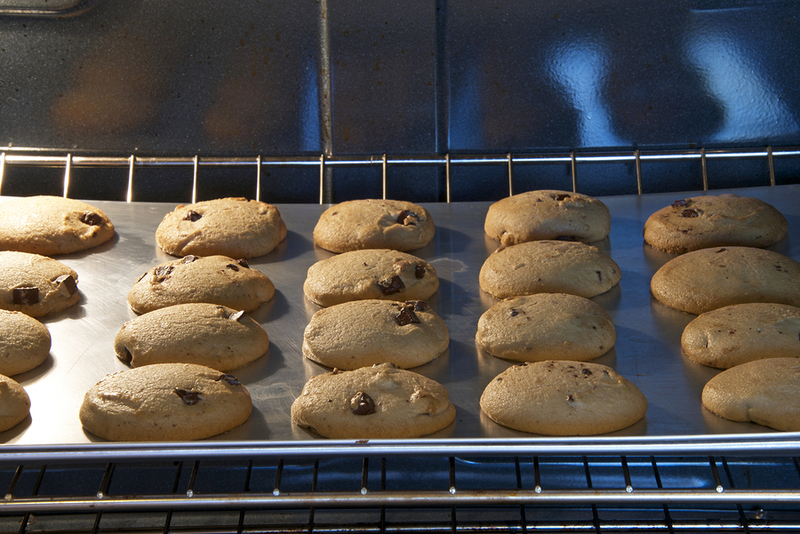 Just like the aroma of bread baking, picture messages can lead hungry customers directly to your bakery. While it's important to occasionally include special deals and discounts in your text marketing campaigns, make sure you aren't sending offers that are too easy to ignore. Unless it's during the holiday season, customers are unlikely to go out of their way for a 10 percent discount on a $2.00 pastry. However, if you can text an offer to win big or an offer that feels exclusive to the customer, you not only establish a more personal relationship, but there's a better chance he or she will stop in at your bakery. Bring your BFF for a special treat. At first glance, it might seem difficult to involve others in personalized texting campaigns. However, you can encourage your customers to share and forward text messages in order to help spread the word. 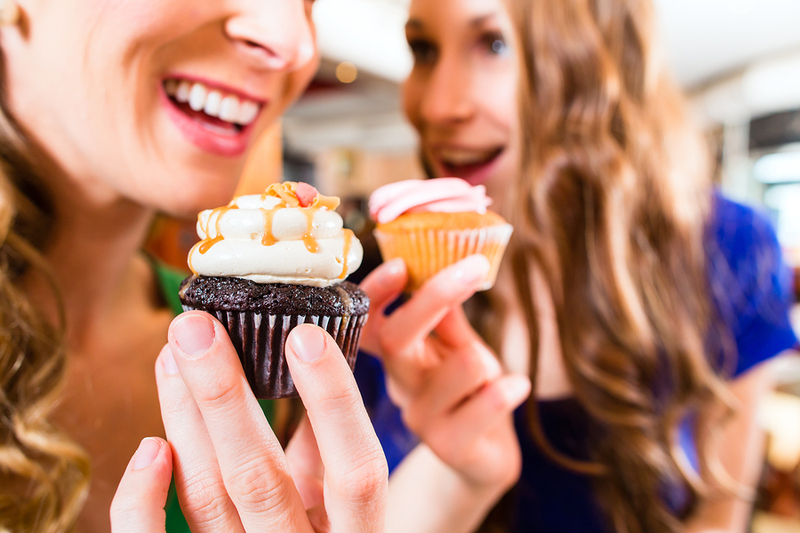 Further, consider text marketing campaigns asking customers to bring a friend with them to the bakery in exchange for a special treat or offer. This not only gets your customer to your bakery but can translate to new customers in the future. Let's face it. Everyone at work loves the person who brings in the donuts and the day just goes better if you start out with treats. When you send out your text messages, make sure you include offers for the workplace. Provide special deals for coworkers and employers, and before you know it you'll turn entire companies into fans of your baked goods. You have an assortment of delicious baked goods, now you just need to get your customers to the bakery. Contact us to get started on a creative text marketing campaign for your bakery. Over the years, there has been a decline in Millennial patrons attending nightclubs. According to Insider magazine, the reasons for the decline range from increased technology for meeting people, overpriced drinks, and expensive cover charges. 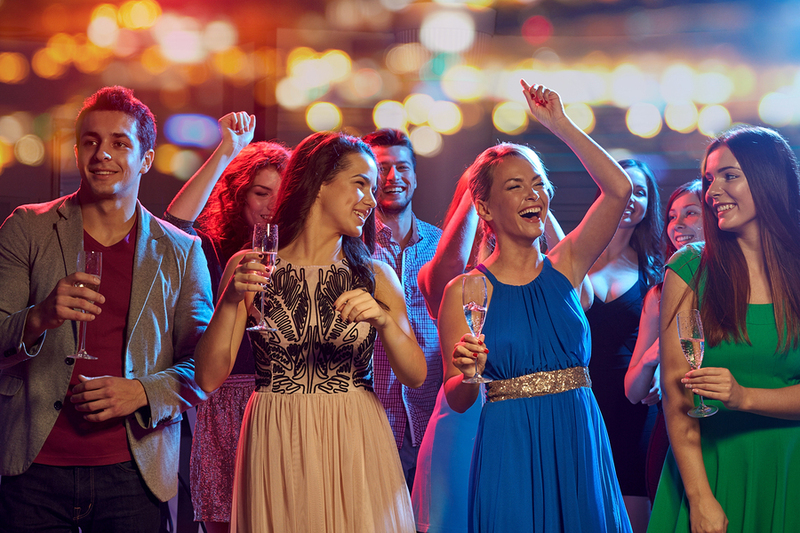 However, going out and spending time with friends over cocktails will always be a popular form of entertainment for partiers of any age. As an owner or marketer, you just have to use more creative methods to attract Millennials to your nightclub. One of the most effective ways to pack your dance floor again is through text message marketing. Lead them directly to your doors. You have to know your customers in order to effectively market to them. Millennials were born between the years of 1982 and 2004, and they make up approximately a quarter of the entire population. Because many Millennials have grown up with technology and smartphones, it can be difficult to reach them through traditional marketing methods such as magazine ads, radio spots, or direct mail. If you want to get the attention of Millennials (and get them to your nightclub) you need to take a more direct approach. Text message marketing lets you do this. Millennials aren't as willing to spend time looking at ads they aren't interested in. And, while it's important to include exclusive specials and discount offers in your text message marketing, it's good practice to create deals that this powerful customer segment can take advantage of immediately and redeem easily. Texting a Valentine's Day special the weekend before the holiday is infinitely more effective than posting flyers a month in advance. Nightclubs are the best for selfies. Make sure to also create shareable experiences to engage Millennials. Include rewards or perks for sharing the text online or interacting with your club on social media. Offer drink specials to those who share your texts with their friends or refer them to your list. When marketing to Millennials, the more people that can get involved, the better. Adding images or even just emojis to your text message marketing can go a long way in getting the attention of Millennials. Including photo opportunities is also a good strategy to increase engagement with this audience. After all, they are often referred to as the "selfie generation". Whether you request that your customers tag you on Instagram or use images in your texts, your text message marketing campaign must be not only fun but also fun to look at. Millennials often find more value in experiences and relationships than "things." Your text messages should make the recipient feel as though they have an exclusive connection to your nightclub. Avoid sending boring messages that scream, "We just want your money" and make your customer feel as though the offer or event has been designed exclusively for them. Also, make sure you avoid bombarding phones with too many messages. Millennials are particularly aware of spam and have no problem blocking you or asking to be unsubscribed from further notifications. 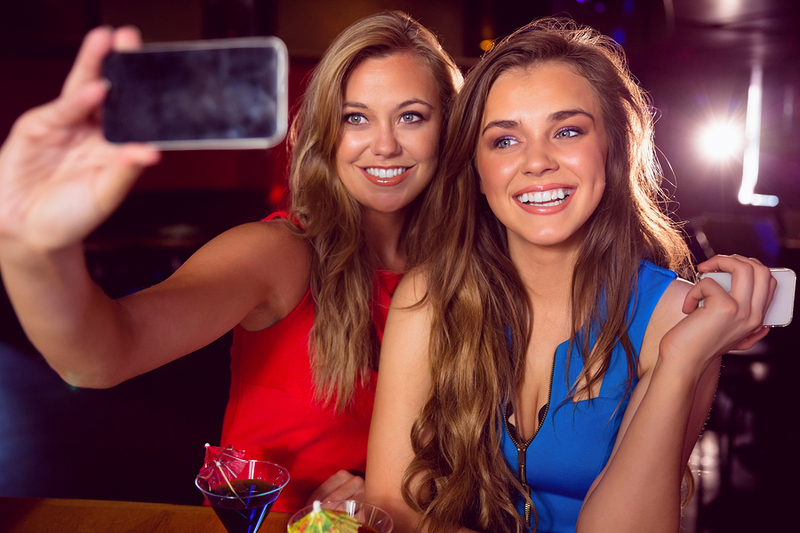 An effective text message marketing campaign can get Millennials through your nightclub door. Want more business? Try ClubTexting for free today! The music industry is notoriously difficult to break into, but it is easier today for bands to find a following through social media and other digital marketing channels. One lesser known way to keep in contact with your fan base is mass text messaging. Many bands opt for what seems to be the more cost-effective way to engage fans through social media and email marketing, but text marketing has a very low cost and a much higher engagement rate than other platforms. There are many ways you can use mass texting to increase your band's fan base, including the following. Remind your fans about concerts and other upcoming events through text. Social media and email marketing provide invaluable tools to reach a large audience and inform them about your concerts or other events. However, people do not always check them at regular intervals, so you typically need to post the information days, weeks, or even months in advance to ensure your fan base has a chance to see it. Mass text messaging helps alleviate this by offering an immediate communication channel through which to remind them about the event. You can advertise the event through multiple channels, and then on the day before or even the day of the event, you can send out a text message reminder so that more people show up. Most people open their texts within a few minutes, so it's a good way to send last-minute reminders. Why not invite your mass text messaging subscriber list to your concerts? People who choose to receive information from you will already be fans, making them the perfect audience to invite to your live music events. You can also separate your fans into different markets using a mass texting platform so that you can send invites to only those in the geographical region of your concert. People enjoy feeling special, so treating your SMS subscribers as your VIP fans could be a great way to reward them. Since you can designate specific groups using your text marketing service, you can choose to send messages to only your most loyal subscribers. Then, you can share special VIP offers via text message for upcoming shows. Marketing is much more about creating a relationship than it once was, which is why many bands head to social media. It is important to be personable and interact with your fans. Mass text messaging also offers you a personal way to communicate with fans and update them on your tour, studio time, and more. This helps you to create a much tighter knit group of fans who feel as though they are part of your crew. 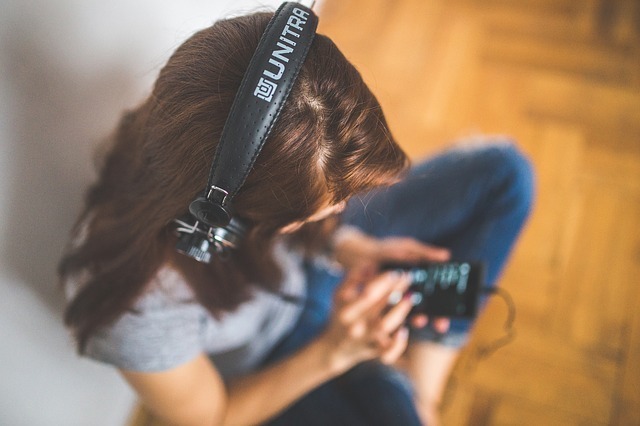 Offer those who opt in to your texting free music to grow your fan base. Although fans will most likely inevitably go out and purchase your latest album, they will always enjoy getting free music from you, especially if it is exclusive. By offering exclusive downloads and free music to your SMS subscribers, you can grow your text marketing list. 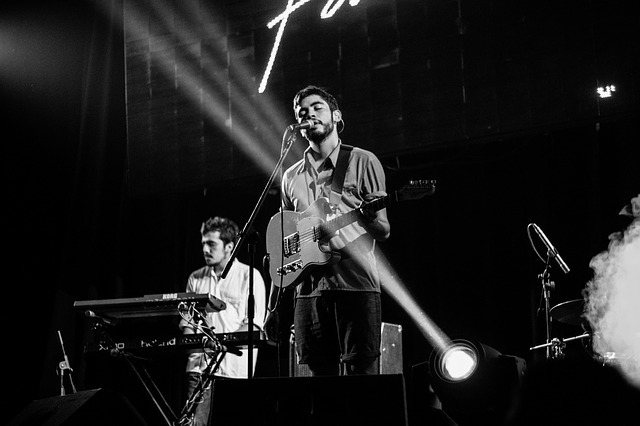 Then, you can get subscribers to come to your live music events by sending special invites. Mass text messaging can help you to engage with your fans and build your fan base. You can communicate with them almost instantly, and with a near 100 percent open rate you can almost guarantee everyone will see the message, whether you want to get people out to an event or just cultivate your relationship. Ready to get started? Try ClubTexting for free today! Pets are important and beloved members of many families. Pet owners in the US spend billions of dollars every year to ensure that their furry friends receive the best care possible. As a result, professional pet sitting businesses are becoming increasingly popular and lucrative. It takes a great deal of trust and faith to leave your beloved fur-babies in someone else's hands. Mass texting not only helps alleviate fears that families might have while you're caring for their pets, but can add value to your services and improve your pet sitting business. Show pets having fun. But maybe not too much fun. Whether you decide to attempt personalized texts sent directly from Fluffy or Spot, or just provide simple updates on a pet's daily activities, text messages can go a long way in comforting your clients while they are separated from their pets. Try to keep your messages upbeat. Consider sending fun updates with emojis rather than those that might cause the client to focus too much on how sad the pet is while they are away. While it's nice to be missed, you don't want your client feeling as though they are causing their pet any discomfort. You can also send fun videos and photos via text message which can help your client rest easily while they are away from home. Not every text you send has to be a promotion, nor should it be. Text message services also allow you to send reminders about upcoming reservations and other appointments. When your client receives a reminder of their pet sitting appointment, they can immediately add it to their calendar or notes on their phone, without interrupting their work day or other activities in which a phone call might be inconvenient. Mass texting is especially ideal for sharing pet sitting discounts or deals throughout the year, especially during seasons when clients are looking for reliable pet sitting services. Text message campaigns with special promotions also provide a great opportunity to award referrals for forwarding or sharing the message with their friends and family members. Everyone likes pet grooming tips. No matter the type of text message you send it's important you don't inundate your clients with too many messages and, of course, make sure you have permission to communicate with them this way in the first place. 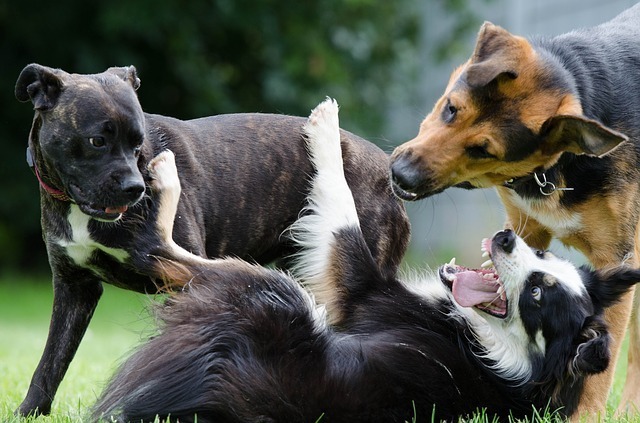 However, if you occasionally share pet care tips for house training or information on foods that are dangerous, your campaign can become an extremely helpful tool for your clients and their fur babies. For longer and more detailed messages, you can include a link to your website, allowing your clients an opportunity to read up on your pet care tips later if they choose. In pet sitting businesses where establishing a trustworthy and dependable relationship with your clients is crucial to your success, mass texting can make a huge difference. 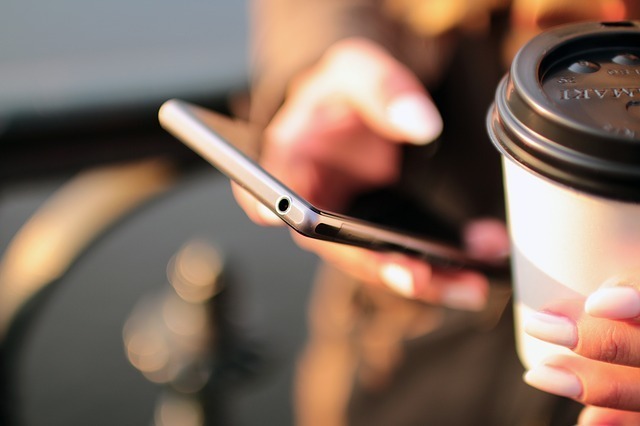 Whether you send a text to help comfort clients while they are away or occasionally send important and helpful pet tips, text message marketing can benefit your business considerably. Get started with your first campaign and try ClubTexting for free today! People have many businesses to choose from when they send their autos out for repair. To stand out from the competition, it is essential to provide better customer service and incorporate enhanced communication methods with your clients. Text marketing is an effective way for auto repair service shops to communicate with their customers in a way that also improves the customer's general impression of the overall service. 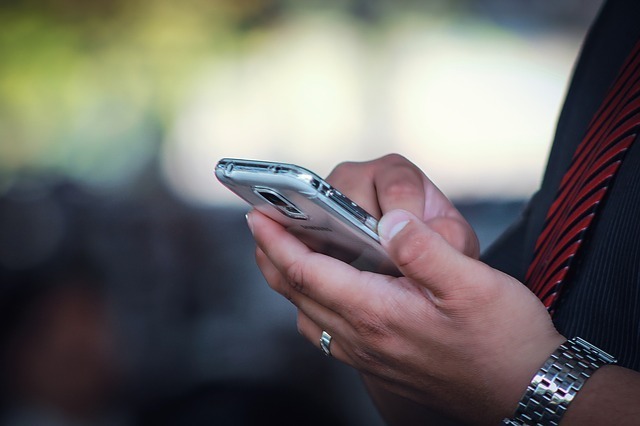 If you are looking for ways to incorporate texting into your auto repair shop, following are some tips for getting started. Remind customers of their repair appointment through a simple text. Many of your clients will make an appointment to get their auto serviced, including for non-emergency repairs such as oil changes or wheel alignment. As their schedule fills up, it can be easy for them to forget, especially if they made the appointment weeks or even months in advance. You can avoid this by offering appointment reminders through text message. This service is helpful for your customers and can reduce your number of no-shows. Offers and discounts are a mainstay for text marketing campaigns. You can advertise a special discount on a service for customers who subscribe to your mobile program. After a customer has subscribed, you can periodically send more offers, such as discounted oil changes with a full safety check inspection. It is also possible to create groups in your subscriber list so that you send a tailored discount to your subscribers. For example, keep track of when people are in need of an oil change and send them a special offer. To retain your subscribers, it is important that you continue to offer them something of value through your text marketing messages. Although many people will appreciate any offers and discounts you send out, they are most effective if people actually need some type of repair or service. To maintain customer loyalty between visits, consider sending periodic tips on auto care. People will appreciate learning ways to extend the life of their car, and this will help them to continue to see your company in a positive light. When they do need service, they will think of you first. Another beneficial way to use your text marketing service is to send your clients updates about their repairs, especially when their automobile has to undergo extensive service that takes days. Providing these updates assures them that their car is not just sitting in your garage, forgotten. This also reduces the number of clients that will be calling you for updates, allowing your staff to concentrate more on other tasks. Incorporate texting into your customer service for increased satisfaction. It is also possible to use your text marketing service for general customer service. Set up a two-way communication channel so that people can text you questions about their car or a repair. A majority of people prefer to communicate with customer service agents via text message, so by offering the service, you increase customer satisfaction. Text marketing can serve many purposes for your auto repair shop. You can send special offers via text and use text messages to stay in touch and manage customer service inquiries. Try ClubTexting for free to see how it can help you boost business at your auto repair shop.